Real quick, if you've got toddlers too, check out this post I wrote a while back on non candy Easter basket ideas for tots. Lots of fun stuff in there! We don't do "big gifts" for Easter, although I know some families do. For us, it's more about the fun of discovering the basket, and small, simple gift ideas that help celebrate the renewal of spring. Easter baskets are a fun tradition I started with my kids. Growing up, my parents/the Easter bunny hid candy around the house and we'd take a basket and find it all. We'd get new dresses to wear to church, that usually got covered up with thick coats because we lived in Minneapolis, and it's still the dead of winter there through April. Maybe when my boys are a tad older we'll start to do that, but for now, the dog would get into the candy piles and my husband and Otto would eat all the candy, as Henry doesn't like it that much (nor do I) and the twins don't even have teeth yet. It's really fun to start holiday traditions with your own immediate family! 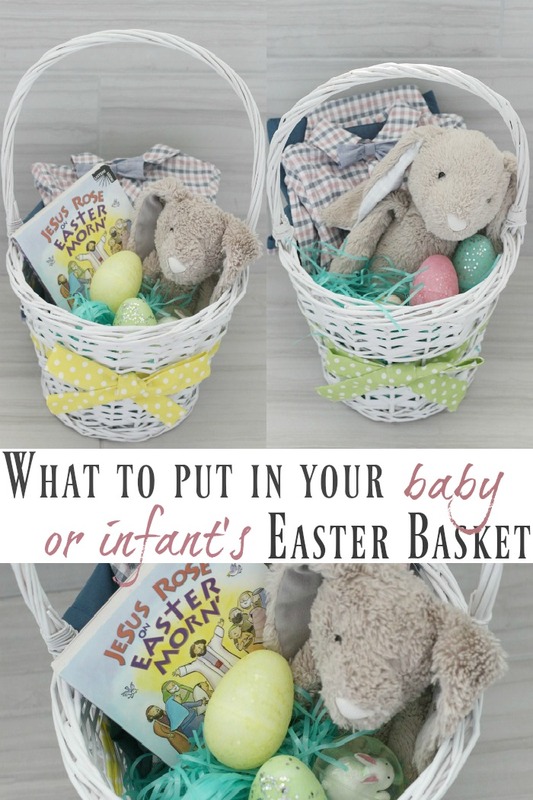 Doing these Easter baskets for the babies is a fun way to get them acclimated to what our family does and celebrates for the spring holiday. There's only been a few times in my life where everything aligns at exactly the same time. In this case, I had some internet friends and some real life friends talk about the exact same thing on the exact same day. And then it happened again with a different set of internet friends and a different set of IRL friends! In every instance, it elicited the same response from me: huh?! There are some things that are really trendy or popular to talk about, especially while in a group of other moms. There's quite a few of them that I just don't identify with, and stand there awkwardly, unsure of how to participate in the conversation. This post is all about those things; when you simply don't identify with popmom culture. The first thing I can't get behind? The constant husband complaining. Y'all, this one is BAD. Bad in what people say about their husbands, and bad as in this topic dominates mom groups. The complaining is incessant. For my mom friends with infants at home, they constantly complain about how they're the only one that gets up with the baby. That their husband sleeps all night, and then sits on the couch all morning complaining of being tired. I don't understand that - why don't you ask him for help? If he doesn't know what to do, why don't you show him? Why are you sitting around being a miserable, tired mommy martyr?! You didn't make these kids by yourself, why aren't you first asking for the help you need, and if you don't get it, demand the help you need?! It's so hard when this becomes the topic of conversation because I just don't identify with it. My husband is up with me with the twins EVERY SINGLE TIME (partially because two babies is a two person ordeal!) even though he's the one with the job that pays all our bills. He takes all four boys for a couple hours on the weekend so that I can get some alone time. He changes all the diapers on the weekends. Hell, he'd probably lactate if he could just to lend me a hand! He does travel extensively for work, so when he is home, he pulls more than 50% of the weight so that I can catch a break. He doesn't sit around being "tired" from his workweek. When you're a parent, your workweek never ends. Five pm on a Friday doesn't mean he gets to sit back and crack a beer while I continue to do everything with the kids, and he knows that. Because he's a parent. He helped me make these kids, he helps me raise them. End of story. Yes, I've had to show him how to do certain things. Yes, he asks me questions if he doesn't know. But he still shows up and helps. Daily. It's popular culture to complain about how easy your husband has it, how lazy he is or how "bad" he is with your children and therefore how hard your job is, but why? If moms spent a quarter of the time they spent complaining asking their husband for help and showing him how to be helpful, they'd be a lot happier! It's so prevalent in pop culture that I've left conversation circles and I've unfollowed mom groups just to get away from the toxicity of it. My closest friends, my sister and sister-in-law, we all spend our time talking about how awesome our husbands are with our kids. That's the type of conversation I would love to see become the norm in popmom culture. 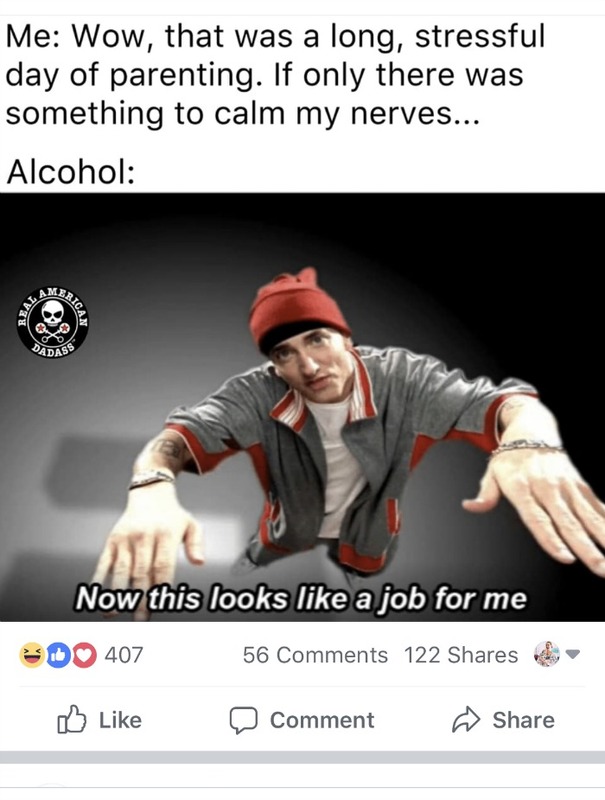 Because all parents drink away their kids and their problems... Look at how many shares this got! The next thing that I struggle with in popmom culture is the amount of wine people talk about consuming. It's like functional-alcoholic-levels of wine that are either talked about or actually being consumed by moms. Now, don't get me wrong! I do enjoy wine. I have no problem with a mom who wants to enjoy a glass or two (or three - get it!) It's more the culture of moms and wine. Like, bad day with the kids? Wine time! 5pm? Wine time! Toddler tantrum? Wine time! Overly tired from doing all the things your husband doesn't help you with? Wine time! I mean, c'mon. How are you even functioning? Do you have any coping skills besides alcohol? Is your life really that bad that it drives you to drink daily?! I just don't understand the constant wine consumption (or the talk of it) in popmom culture. This one is enough to take away my mom AND blogger card: moms, why are you ALWAYS talking about Target?! Never once have I had a "spare hour" and thought, you know what? I'm just going to go cruise the aisles of Target and buy things I don't need with money I probably don't have. I have never once walked the aisles there "just to see what's there" and to look at crap. Not once. I have my list, I get what's on the list, I usually see one or two more items that should have been on my list but weren't, I check out, I leave. I don't go to the in-store Starbucks to spend $7 on a coffee that has over 500 calories in it. I don't cruise the aisles. Have you noticed Target now plays obnoxious music? They do. It makes me dislike that store even more. It used to be so quiet and peaceful... Now it's full of bright fluorescent lights and bad music. Memes and posts like this get a big ol eye roll from me at best, and an unfollow at worst. I just don't get Target-mom-culture! Fortunately, Target shopping doesn't dominate the conversations of my IRL friends. Boutiques and higher end shopping can, if shopping is talked about at all. Typically it's just a quick mention of where someone got something cute, and we move on. Thank God. But online and in the blogosphere? 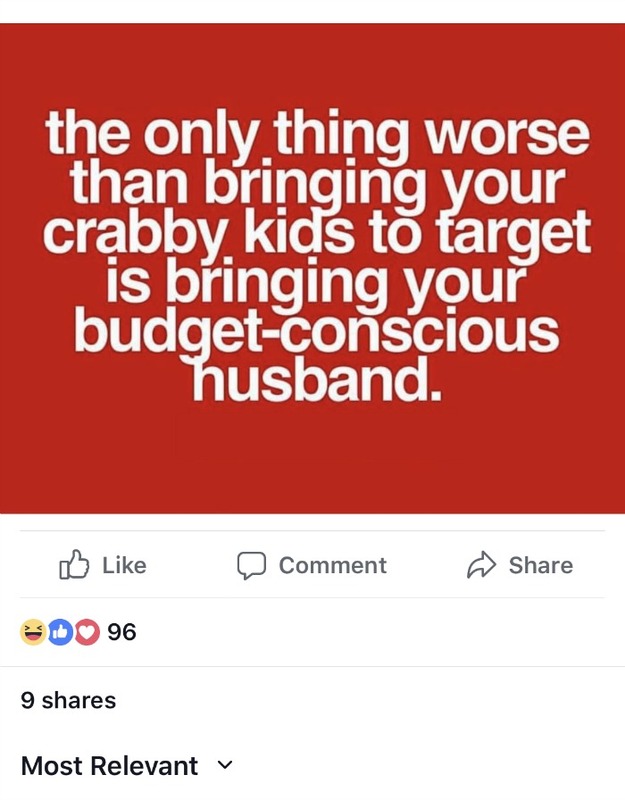 This is a regular topic of convo, everyone voices their love for killing time at the retailer and friggin memes are created about a mom and her love for Target! I secretly think it's all a marketing ploy from the corporate headquarters of the chain. Trust me, I'm from Minneapolis where it's HQ'd and know tons of people who work there. They'd totally do it. Jokes on you! Anyway, I just don't get why this one particular store is constantly, incessantly talked about in popmom culture. It's an obsession I just don't identify with. 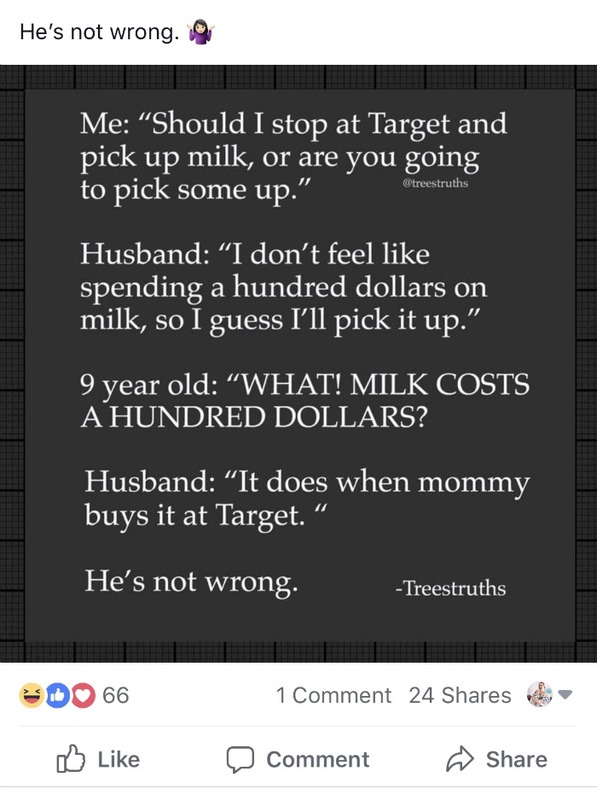 If I'm being really honest with you, I unlike mom blog pages that talk about or post Target memes. That's how much I don't identify with it. In some ways, not identifying with these popmom culture items makes me feel like an odd mom out. When it becomes the topic of conversation in various online groups, I usually just keep scrolling. I unfollow if it's a particularly atrocious conversation. And in real life? I stand there, unsure of how to join in. Everyone would hate me if I piped up with how awesome I think my husband is, or how I dread going to Target, or how I've stopped all mid-week wine consumption because it was ruining my sleep. Misery loves company, and that's not being a team player! But I'm here to tell you that if you don't identify will all the aspects of popular mom culture, it's ok! You're still a cool mom in my eyes. And I'm totally here for any of you who want to talk about amazing husbands, the dreadful way Target clothes fit, or taking up a tea habit over alcohol. 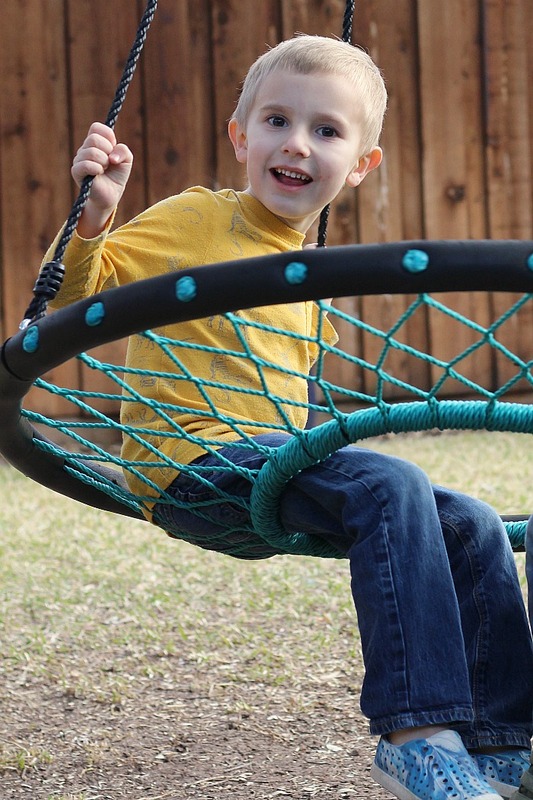 The biggest consideration in organizing kiddo stuff is accessibility. You want them to be able to reach it, access it, open it, use it and most importantly clean it and put it away when done! Since my kids are 3 and 4, they can do this on their own, without my help. We did some moving around so that we could put their supplies into the bottom cupboards of a built in bookshelf in our formal dining room. Honestly, we rarely eat at this table, which is large enough to seat 8 adults. I like having their stuff in here because the table is plenty big for them to spread out, and honestly, it means this room gets used for more than just Thanksgiving, Christmas, and Easter! Get all this junk organized and stored away neatly! This storage bin is great because it has adjustable compartments (good for crayons, different sized sticker sheets, markers, etc) and it opens at the top, so everything won't spill out upon opening. This one is great because it has trays that pop up when you open the lid. 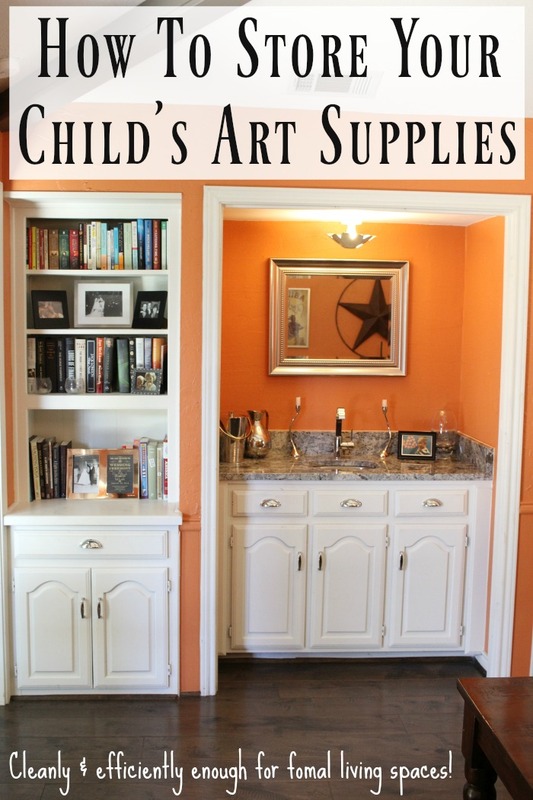 That works to keep your or your child's supplies organized while stored AND while in use. Crayons can be in one tray, colored pencils another and the coloring books can be at the bottom, all accessible and organized when the box is opened. This bin is large and flat, which is perfect for stacking. It's great for holding coloring books, activity books, specialty paper, spools of ribbon or anything else that's relatively flat. It carries like a briefcase, which makes it easier for transporting materials. This is very similar to the one I have, and I LOVE it. It's great when there are multiple tools associated with one craft. In mine I store paintbrushes and sponges on one level and the paint on another. Then both are stored together and transportable in one kit. In another I store seasonal props (faux fall leaves, jingle bells, heart confetti, etc) and seasonal ribbon, all of which I use when photographing the various seasonal crafts and recipes I feature on this blog. This one is great for small pieces. If you or your child is into bead work, this one is perfect! Or if you're into sewing or needlework, and want to store similarly colored thread together, this would be a great option. Get whatever of the above storage solutions fit your needs and figure out a dedicated space to store them where your kids can access them (or, as in the case of my craft closet - NOT access them!) It's really great when your children can go and get their art supplies on their own, instead of needing you to get them for them. Consider using underutilized or non-traditional spaces like we did. Our formal dining room might not be the obvious choice for an art space, but it's worked out great for us, and uses a room that would only otherwise be used for formal holidays. Finally, storage bins have been KEY! Use something that works for what you need to store, and that can be opened (or not) for the person trying to open it. How registering my oldest for kindergarten has me reflecting on the old saying, "The days are long, but the years are short." I actually started to cry as I typed that title out. Then I started to laugh at myself for crying. Then I was that insane person who was laugh-crying... At her laptop. Here's the thing: motherhood is a deep pool of weird emotions. You can feel contradictory ways at the EXACT same time. I've mentioned before on Instagram how it's weird to feel relief at the exact same time that I feel sadness about never being pregnant again. 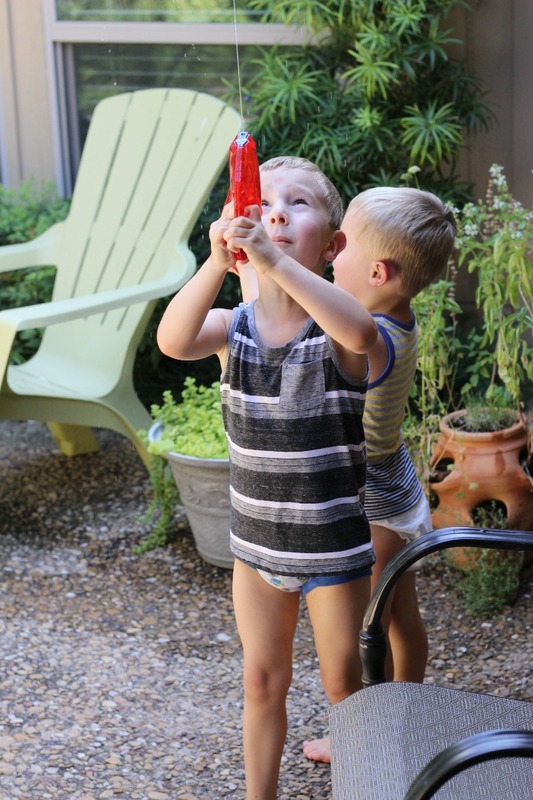 How I can be driven entirely insane from two twins pulling, scratching, tugging on my clothes and look down at their goofy, smiling faces and feel so much love for the thing that's driving me mad. On February 28, I registered my oldest child for kindergarten. Kindergarten! At an actual real school (not a church preschool like my other kids go to) that's a full day long. It got me reminiscing on him and his "baby" days and made me realize an old saying is painfully true: the days are long, but the years are short. My first pregnancy was by far, without question or doubt, my longest. I found out we were expecting a week before my bachelorette party. Nothing like being the designated driver at your own party, right?! And it was like I was pregnant and out of commission for a whole slew of things I'd want to party (aka have a drink) and feel great at: bachelorette. Then my birthday. Then Christmas, followed by New Years. Then my own wedding. Date night on Valentine's Day, St. Patrick's Day parade. You get the gist. It was like I got pregnant right at the worst possible time, and since the pregnancy spanned over two calendar years, I felt like I was pregnant FOREVER. My birth literally could not have gone more opposite than what I wanted. I had all my prenatal care done with midwives at a birth center. At 29 weeks, I went into preterm labor and was put on bed rest. At 35 weeks, he was still breech so I saw an OB to attempt an external cephlic version to flip him. It failed, because I had low fluid and was a first time mom. 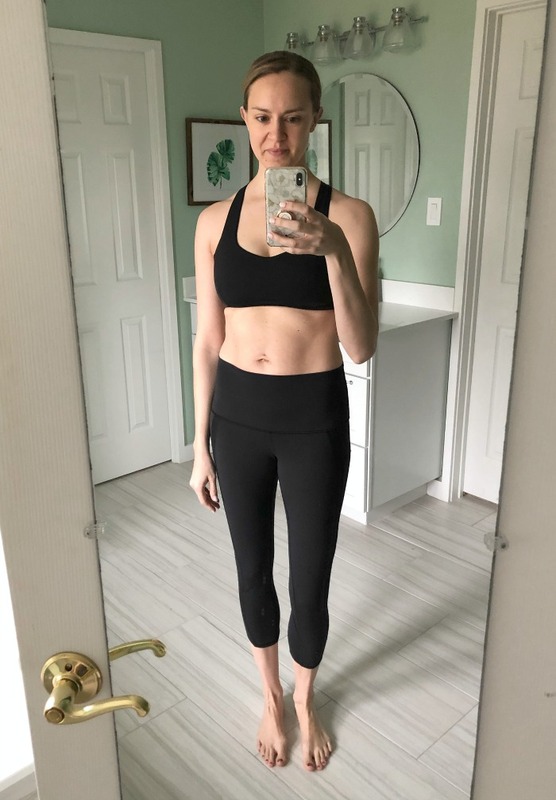 Before I could even get all my paperwork transferred to the OB from my midwives (birthing at the birth center with a breech baby was out - I knew at this point I'd be having a c section because nobody would allow me to try a breech birth for my first baby), my water broke at 36 weeks. We googled directions to the hospital we had never even toured, because it just wasn't the plan. Once we were home with Henry, I was woefully unprepared for how hard being a mom was. I had every intention of breastfeeding for a year, but knew nothing about it and the demands it'd place on me. I hated it. I hated how often the baby needed ME; nobody else could fulfill this role. I was completely unprepared for what real sleep deprivation felt like. I thought, "Hey, I graduated college in 3 years while working at least two jobs the whole time. I totally know what being tired feels like!" Ha! Joke was on me. 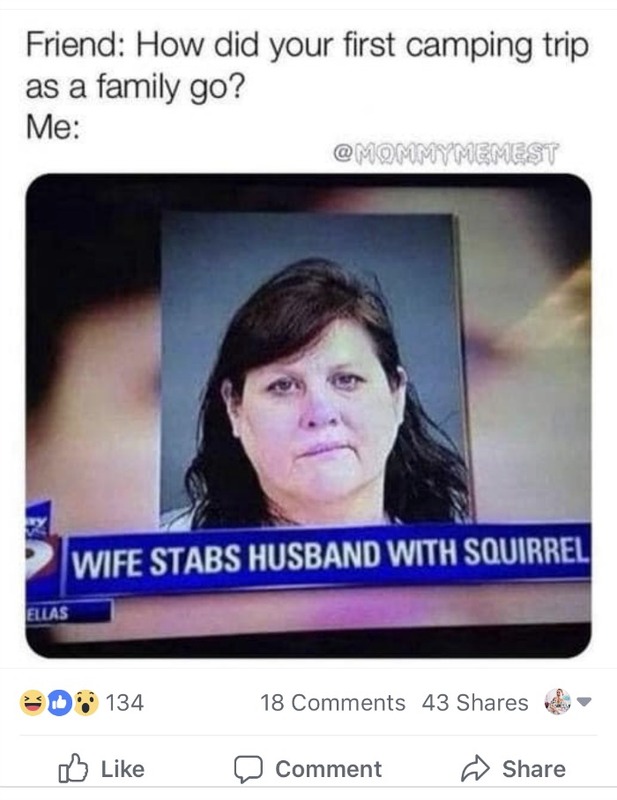 That was nothing compared to motherhood. The first year of Henry's life, I was a true stay at home mom. Yes, I had started this blog, but it was purely a hobby; something to keep my brain stimulated and have fun with. I hadn't yet monetized it - that was a dream I'd realize the following year. Nope, his first year of life, I was at home 100% with him. No nanny. No preschool. 100% me, all the time. I found it exhausting and brain-numbing. I remember one morning, he must have been two or three months old, I was trying to get a workout DVD in. It was a 20 min workout and Henry was having none of it. I went to get my screaming baby and looked at him, with his face red from wailing, and thought, "I'm never going to make it. All I want is some peace! I'm never going to last 5 years until this kid is in kindergarten and I can catch a break. This is awful!" Turns out, I was experiencing some pretty bad postpartum depression. I didn't get the birth I wanted, I hated breastfeeding and being a stay at home mom was miserable. No wonder I was struggling! I look back at photos from when Henry was a baby and it's like I don't even remember him being that little. As if my brain just shut down and blocked that time out. I simply remember that those were the LONGEST days I've ever had as a mom. When my husband was on business trips and I'd have Henry all by myself for days on end, it truly felt like it would never end. When my husband was in town, I'd look at the clock and it'd be 3:30. An hour would pass, I'd look at the clock again, and it'd read 3:32. Time moved that slowly! Right about the time we moved from the house we were renting to our current home that we bought, I started to come out of my PPD fog. I had finally made some mom friends and started to take Henry on regular play dates. I remember St. Patrick's Day, me and a group of moms who all had our babies about the same time went to the Dallas Arboretum, sat in the sun, had a picnic and drank wine. I had a great time! I had finally found my "mom groove." 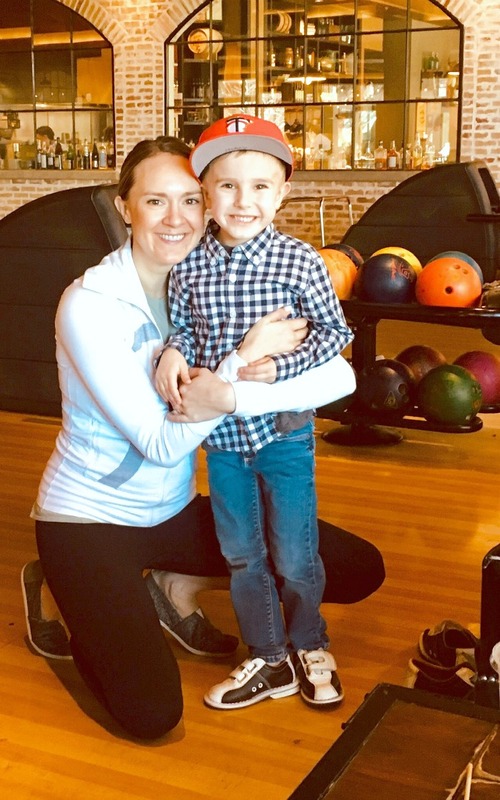 I was pregnant again the following month, Henry began preschool when he turned 12 months and by that summer, I had monetized the blog and had actual income of my own again. Things were great! But man, that first year home alone with Henry felt like a decade. Like I was wading through pudding instead of walking through air. Here's something that I've learned, four kids later: Sure, it's EASIER to only have one child. In fact, that's the problem. It's too easy. It makes time move really, really slow. You can get things done at a reasonable pace, so it's as if there's TOO much time to get things done. There's nobody else for the child to play with, so they always want YOU to play with them. The more children I've had, the faster time has gone. And the easier motherhood has gotten. When I look at the clock and it's 3:30 now - even if my husband is gone on a business trip - I think, ok! I need to go make tomorrow's lunches and then get on dinner. If I don't get my arse moving, we'll never get to bed on time! 3:30 with four kids means I'm headed into the busiest time of the day, not the slowest moving time. Probably because I've gone on to have four kids in four years, I can tell you it's like I've blinked and now Henry is ready for kindergarten. What I thought was going to be an eternity went by like lightning! Sure, there are still days that are long. When he's misbehaving or sick, time slows down. But when I look back on the collective years that have passed, holy cow do they move quickly! He went from a baby who never slept to a walking toddler to potty trained and now a kindergartener all in a flash. I feel like in another flash, we'll be filling out college applications and he'll move away. In between flashes, the'll be days that drag on and on of sickness, arguments, disciplining him for bad behavior, mistakes made that have huge impacts (on both of us), sports tournaments that never end, and endless amounts of lunches I need to make. I have a true dislike for making lunches, y'all. I CANNOT WAIT to simply pump money into an account and have someone else make lunch for my kids! It will be like Christmas... Everyday. Kidding! Kinda. Anyway, here we are, all registered for Henry to start "big boy school." For a brief moment in my life, it seemed as though I'd never reach this point. Then I got busy making and raising more babies, and somehow overnight, I arrived to this place in time I so desperately wanted, and I'm no longer sure I want it. On the one hand, I love watching Henry become his own person, with his own talents and own personality and his own faults. At the same time, I yearn for the days when he was my baby - my only baby. Motherhood is so weird like that! The days are most certainly long, but dang those years are so short and go by so quickly. Now, to be fair, this product is less than $5. So, you know, it's cheap. And it works. But the smell is STRONG. You'll smell it in your hair all day. And you have to use a LOT of the product to get the effect of the dry shampoo. It also only lasts for one application/day. If you want to stretch a wash or a style of your hair, you're going to need to apply this product every day that you want to extend your style, and you'll need to use quite a bit of the bottle. Mine lasted two weeks before it was cashed out. If you're in a pinch and need a dry shampoo, go ahead and buy this one. If you're looking for high quality that will last and will extend your time between washes, this one isn't it. Winner of the drug store brands! I didn't need as much of this product as I did the Batiste product and the smell was better. It seemed to have a finer texture than the others, resembling the salon quality products more. You know, it wasn't like I was spraying this thick goo in my hair! Plus, it's just a dollar more than Tresemme, and for that extra buck, you get a WHOLE bunch of added quality. I applied it once and tried to wear it into the next day, and made it until about noon before I started to see greasy strings in my hair again, so it was the longest lasting drug store brand too. If you don't like to spend a lot on your hair care but want it to resemble salon products, I'd recommend this one. I had the highest hopes for this one because everyone, and I mean dang near everyone recommended it to me as *the* best dry shampoo. Y'all, it fell so far short of my expectations. It's right at the $10 mark, so it's the most expensive of all the drug store brands. It lasted about two weeks, so the product resembled the cheapest drug store option (Tresemme). It was very fragrant, so while the smell wasn't as strong as Tresemme, I found myself getting a headache after a few hours with it on my head. And the powder didn't come out as fine as Not Your Mother's - the texture was far more chalky. If there was one that was the biggest let down, this was it. Not worth the $10 you'll spend on it, in my opinion. Either spend $5 or $6 or bump yourself up to the next category, but this mid-level brand isn't worth it. My second favorite dry shampoo of all time, and my very favorite if I'm being eco-friendly. It's the only non-aerosol applicator, so it takes a minute to get used to how you apply it. But after you've hit the learning curve, you find that you actually have MORE control without the aerosol! It's also the finest mist/grain product, so it goes on well and blends easily. Additionally, one application will last even the greasiest of hair (aka, my postpartum head) two to three DAYS of wear. While it is the most expensive one listed here ($35- $42 depending on whom you buy it from), if you dollar cost averaged out the applications per days it lasted you, plus how little product you actually use because it's a high quality product, it might come in right at the Not Your Mother's price point! The downside? It might not be a great fit for you if you have dark hair. This stuff is concentrated and sometimes even I have trouble blending it into my blonde roots! This one was the let down of the salon products. It smells AMAZING. It's a stronger scent than Aveda, but it's amazing. However, I wasn't overly impressed with how it performed. One application lasted me only one day, much like a drug store brand. The texture wasn't overly fine. Basically, the best part about it was the smell, not the performance of the product. It was $25, and if I'm spending that much on a hair product, I want it to work. This one worked, but not better than the $6 Not Your Mother's. The smell though... Was amazing. Amika has better hair products (like their texture spray), that's for sure. This stuff is friggin gold. GOLD! It's right at $20, so barely in this price point. It's paraben and sulfate free, organically derived from oats, and has an ultra fine texture. The smell is natural, kinda like Aveda's but without double the price tag. One application of this product lasted two days, so it fell just shy of Aveda's super cleaning/oil absorbing power, but again - half the price. This was actually the first dry shampoo I ever used. It came in one of my Birchbox's circa 2012. I thought all dry shampoos were like this until I ran out and tried drugstore brands. Then I realized, spending the extra $10 for this product was more than worth it - for the quality of the product (nontoxic!) and for the lasting/staying power (one can lasted me over a month and one application lasts several days). This is the underdog right here. Bonus? Brunettes, they have a special formula for you, too! Frankly, you can't go wrong with any of these options. Some are better than others, and some were hyped up to me, which resulted in a let down on my end. Had they not been talked up to me, though, I may have had lower expectations and a better experience with them. All in all, my recommendation is to go with a salon brand. Yes, they're more expensive but you also use less of the product and it lasts in your hair for longer, so if you net out the length of the product vs the cost, you're probably breaking even with the cheaper dry shampoos in terms of cost per use. Klorane is the definite winner of all of them because of the texture, length of effectiveness of the product, nontoxic elements and the amazing price point. Second runner up was Aveda. I really like the non-aerosol applicator and you can also buy refills for about $10 less than the original product and simply fill the applicator back up. One quick side note about lots of dry shampoo usage: it definitely creates buildup in your hair. I HIGHLY recommend this lemon clarifying shampoo. 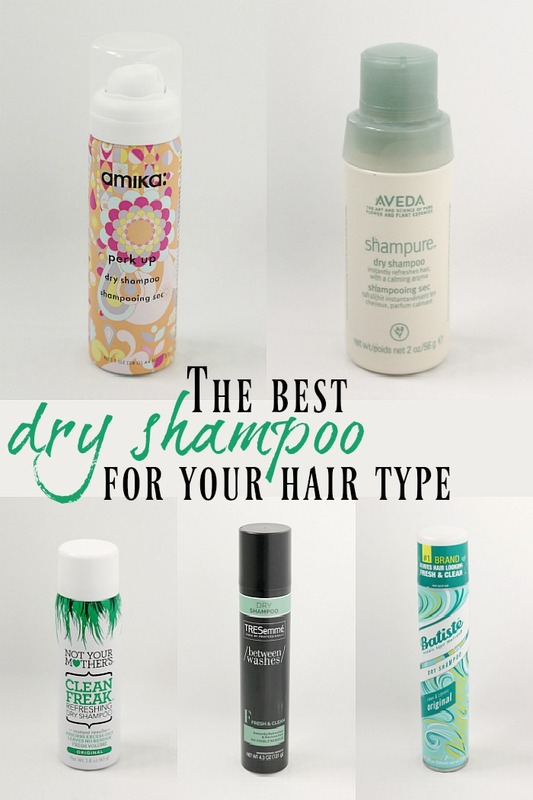 It's takes away all the gooey buildup dry shampoo creates. It's also vegan, cruelty free, paraben free and less than $10! I scrub it into my scalp, and leave it there while I lather my body and shave my legs in the shower. It's seriously GREAT and works wonders. Dry shampoo is seriously a wonder worker. It's probably the only beauty product I'm passionate about and use regularly. If you're a mom, it's a MUST HAVE in your bathroom! I rounded up all the best or most talked about dry shampoos and gave them a real try to let you know which ones are worth it, and which ones you should skip. And the best dry shampoo? Definitely this one by Klorane! Sad? Excited? Conflicted? 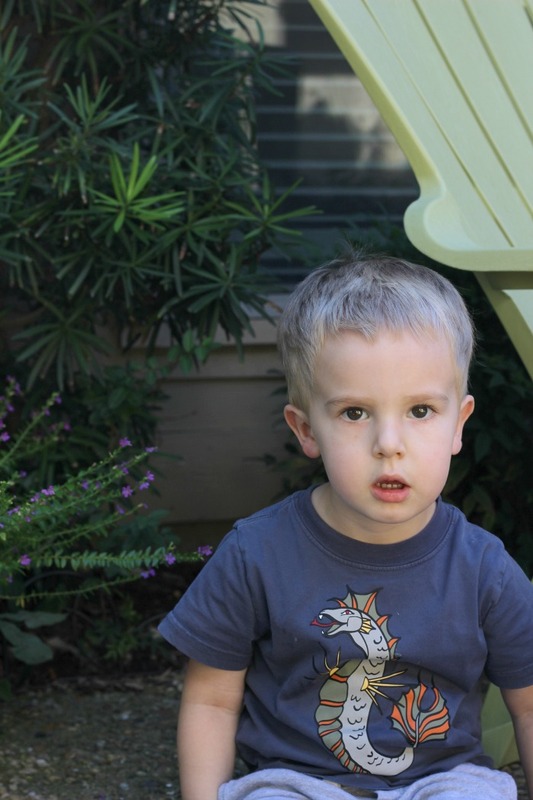 I registered Henry for kindergarten last Thursday and it has me feeling... Something. I have a whole post about it next week, actually. It's so weird to FINALLY be at this milestone I thought I'd never get to when I was in the depths of my postpartum depression and hating life as a SAHM. But now that I've had three more kids and work part time from home, I have a totally different outlook on it. It's just WEIRD to finally be registering your first kid for *real* school, not our part time preschool we've been going to for the past four years. In fact, all the younger kids were registered for that at the end of January and the weirdness started when I didn't register Henry for it. Anyway, I'll do a deep dive next week on what exactly "weird" means/feels like for this big ol' milestone. The weird shape of my mani. I get dips, and the lady did kinda a weird shape at the base of my nail bed, as if she didn't really file the powder down enough. You know, left them thick? Anyway, I've been playing with them and hating this particular manicure since I got it, even though I love the color. Just sitting over here with my first world problems, counting down the days until I can go and switch out my dip. SPRING! Y'all, it's been a dark, cold, rainy, gloomy and did I mention dark winter here. 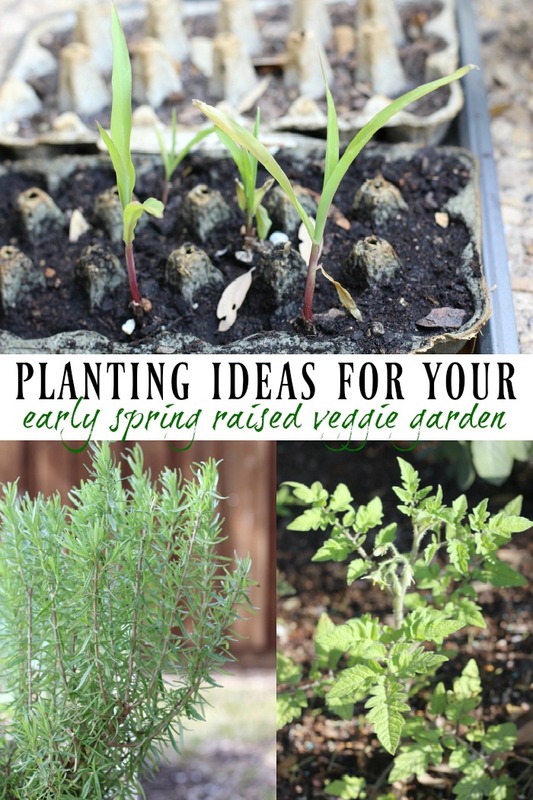 I'm SO ready for warmer weather, daylight savings time, planting spring flowers in my garden, getting my kids involved with the veggie garden (we've already sprouted our seeds - a post on that shortly!) and planning the boys' Easter baskets and outfits. I'm all for it. C'mon nice weather, this is Texas, where you at?! Let's do this! 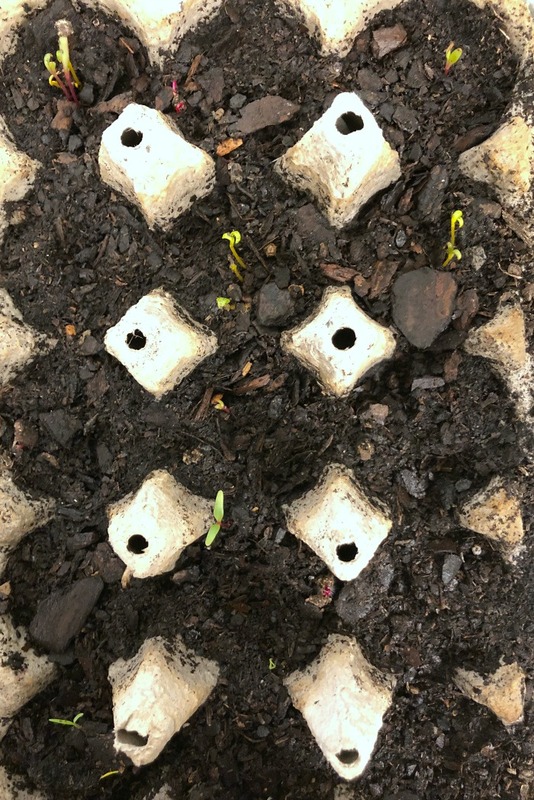 We've started our seedlings for our veggie garden. I had to bring them inside because it dipped down into the 30's after planting them. C'mon spring! 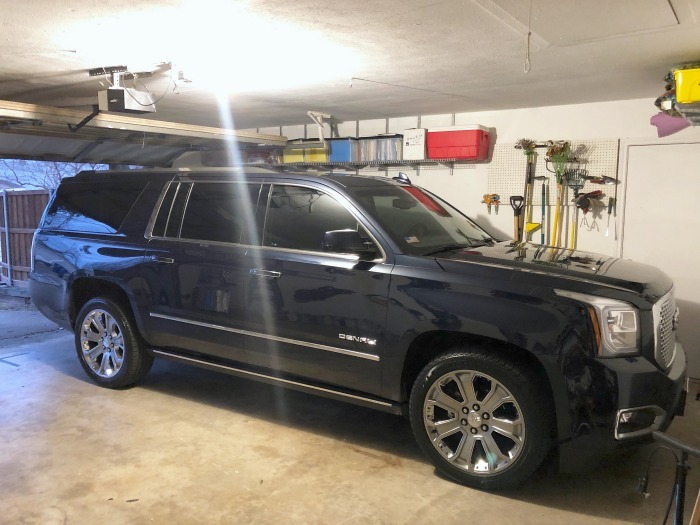 I bought a Yukon Denali XL in February. Guys... This SUV is two whole feet longer than the biggest full sized SUV on the road. It's crazy big. And IT'S AMAZING! All four of my boys can fit in their cars eats with ease and my husband and I can be in the front seat without anyone being cramped. We can get a double stroller in the back. Correction, I can have the double stroller and groceries in the back, without issue. If you have four kids - all of which are close together and in car seats and you need strollers and other supplies in your vehicle - dang. You NEED this car! Minivans are great and all, but they don't have the room in the cabin or in the trunk like this one has, and if you've got 4 in car seats and have stroller needs... You get me. That's what's going on around here currently. Fun catching up with y'all, even if I did all the talking. I'm so excited to be back to my normal blogging schedule and making more content more regularly. I have some great recipes written, a fun Easter craft for you to do for babies/young kiddos, and an amazing trick with apple cider vinegar I've been trying to publish for a whole month now. Seriously, you don't want to miss that - coming next week! I Drank Apple Cider Vinegar Everyday For A Month. Here's What Happened. There are tons of health claims on the benefits of drinking apple cider vinegar. I drank it every day for 30 days. This is what happened. Apple cider vinegar has a whole bunch of health claims. A quick Pinterest search will tell you that it will help you lose weight, cure indigestion, lower your body fat, assist in autoimmune disorder symptoms - heck, there's probably a claim out there that it will cure cancer, too! (I haven't seen those claims, but I wouldn't be surprised, because it's the internet after all.) Given all these amazing claims, I wanted to check it out and see what actually happens when you drink apple cider vinegar everyday. A group of friends were doing a January cleanse, which would have been awesome for a "reset" after the holidays, but since I'm breastfeeding, I couldn't participate. So, the apple cider vinegar challenge it was! I took before and after photos that are unedited and taken at the same time of day for equal lighting. Here it is, friends! I drank apple cider vinegar (ACV) everyday for a month. Here's what happened. For clarity, I did nothing else differently than consume the ACV. I started with a tablespoon and worked my way up to about 1/3 a cup. Y'all, this stuff is STRONG. It's tart. It makes you pucker your lips after you take a sip, even if it is well mixed with something else! So I started with the minimal amount, and after I found good ways to incorporate it into my beverages, I slowly increased the amount. I do NOT suggest taking a "shot" of it right off the bat, or going balls to the wall and drinking a half cup as a slow sipping beverage. Start with a small amount mixed with other natural juices and work your way up slowly! My diet remained the same. I didn't cut calories (like I said, I'm breastfeeding, and twins at that so I need tons of calories daily). I didn't work out more or less than I was previously, and didn't omit any particular food group (like dairy) from my diet. Literally, the only thing that changed was adding in a ACV drink everyday. I read that it was best first thing in the morning, or on an empty stomach before a meal to aid digestion, so that's what I did. Usually I consumed it around 3-4pm, well after I had eaten lunch and a few hours before I'd eat supper. Mix it all together and enjoy! Add ice if you're so inclined. I'd start with one tablespoon of ACV and increase as you get accustomed to the drink. The tart cranberry juice surprisingly paired well with the ACV and 100% real, organic cranberry juice is great for your liver and kidneys. Ok, so that was how I drank it. Let's get into the deets of what happened! 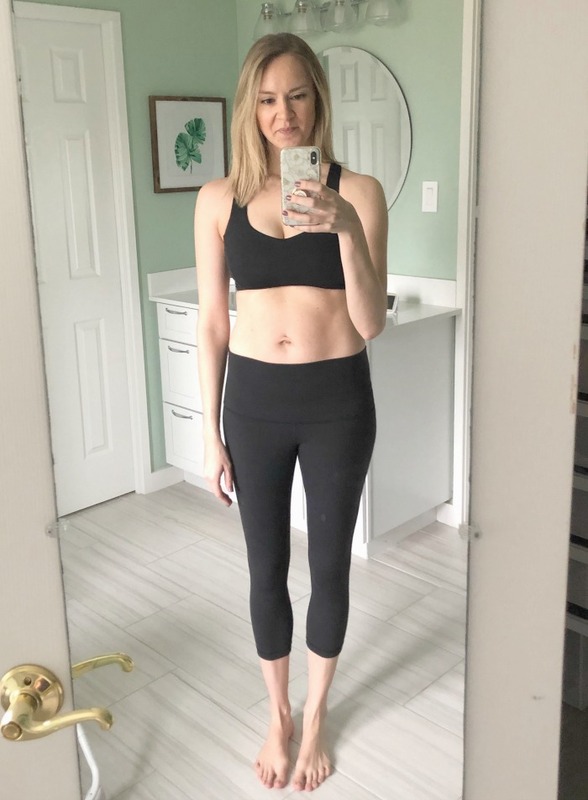 After the first week, I didn't notice any specific benefit, other than I got on the scale at they gym (same scale I use every time) and wouldn't you know, I was down two pounds! Two pounds, after doing nothing but drink the ACV drink daily. I literally changed nothing else. And it wasn't just one day at two pounds, it was consistent. After a month, I was down CONSISTENTLY (meaning, over at least 7 weigh ins) 5 pounds. I don't suffer from digestive issues like heartburn or indigestion. So I can't speak to if it helped with that or not. But one Friday night I did indeed drink too much red wine, which for me results in a horrible headache the following day from all the tannin. 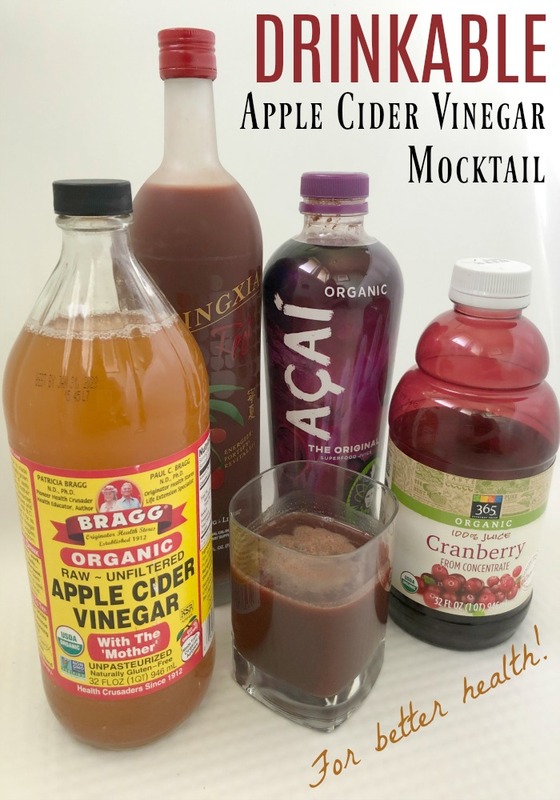 I made up my ACV drink first thing in the morning, and it completely took my headache away! If you're like me and occasionally like to indulge in that extra glass of vino (because, weekend! ), this drink is a MUST. It's a lifesaver. No need for pain meds, just chug this drink down real quick and be on your merry way for the day without a headache. So, am I going to continue to drink this stuff daily? Meh. Probably not every day. Unless my weight starts creeping back up. I'll more likely drink it 3-4 times a week, especially on the weekends after I've had wine. That was a huge difference I noticed immediately, was the headache cure! It also was a great de-bloat-er. Is that a word? I'm sure there's a word for that, but my vocabulary is lacking from lack of sleep, so I'll just go with de-bloat-er. There were definitely some good health benefits and some cosmetic perks to drinking ACV everyday, so if you're looking for an easy fix, I'd highly suggest adding it to your daily regimen. Will it solve all your problems? No. Is it a cure all? Absolutely not. But drinking apple cider vinegar daily made some small improvements to my life, that's for sure. Update! This post was supposed to publish in early February. Deadlines got switched around and last minute projects added, blah blah blah, and here we are in March. But that resulted in an interesting thing happening! I drank ACV everyday from Jan 6 (per my announcement on Instagram) through the first week of February, and got all the results above. Then I stopped for the remainder of February. By the end of the month, I had put 3-4 pounds back on and my tummy was poofy again! So in the last few days of the month and into March, I started to drink it everyday again. Low and behold, the weight went away and my tummy debloated. That leads me to believe that ACV definitely helps digestion, as it helped me lose excess water weight TWICE.